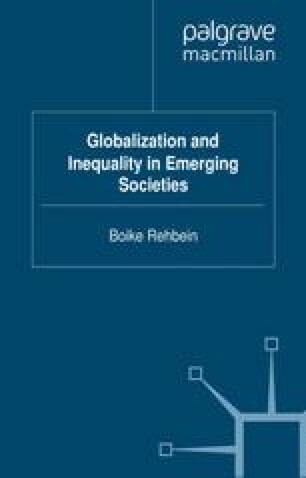 It follows from the premise of this collection, ‘linking global trends with empirical realities in understudied settings’ (Rehbein, 1), that the approaches and findings of the chapters range across a wide spectrum. One would expect a degree of cognitive dispersal and treatments that differ because the settings, the datasets and/or the approaches are different. I will tease out some of the arguments here.